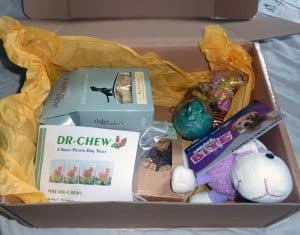 Even before Biscuit (my dog) and I received our Woof-box, I was impressed by their service. 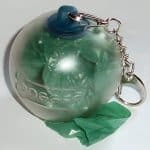 The website asked me for details of my dog’s size – to make sure that what arrived was suitable for him – and whether we would prefer to choose the type of contents – either toys or treats. I chose the ‘surprise’ selection, and sat back to wait for the box to land on my doorstep. Boxes are usually sent out around the middle of each month. When the box arrived, it felt reassuringly heavy, which seemed like a good sign. So, what was inside? 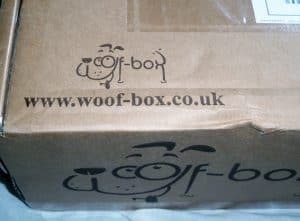 Firstly, a couple of leaflets explaining how the subscription service works, and all the contact details necessary to follow Woof-box on social media. There was also a detailed letter explaining the theme of that month’s box, what was included (and why), and where I could find more supplies if Biscuit liked them. 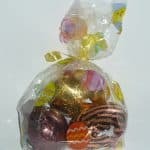 There was even a list of ingredients for each of the treats, which I thought was a nice touch. Below that, everything was nicely wrapped in cheerful tissue paper. The first thing we saw was the soft squeaky toy. 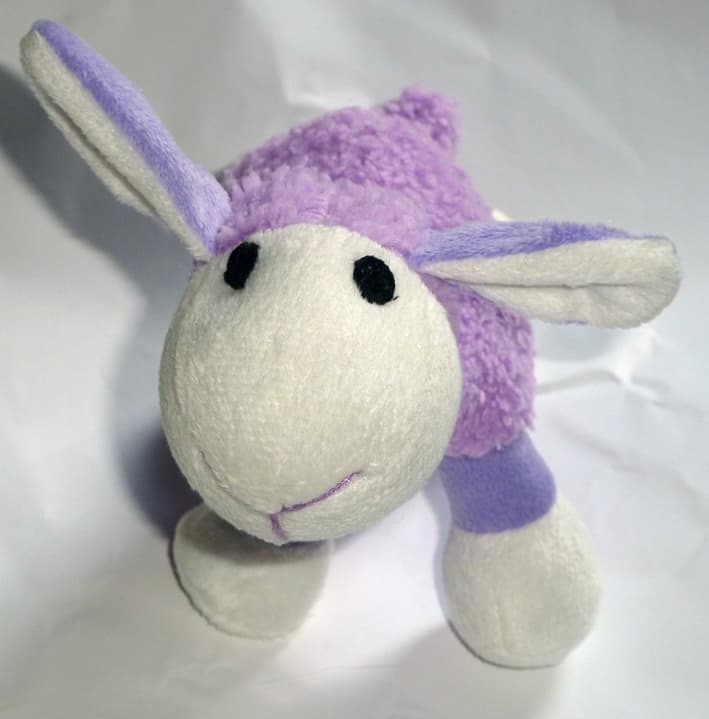 It seemed to be very good quality, but didn’t stand up to my super-destructive lurcher and his talent for gutting soft toys. I’d say that was more to do with the dog than the toy, though… In future, I might request only tougher toys. 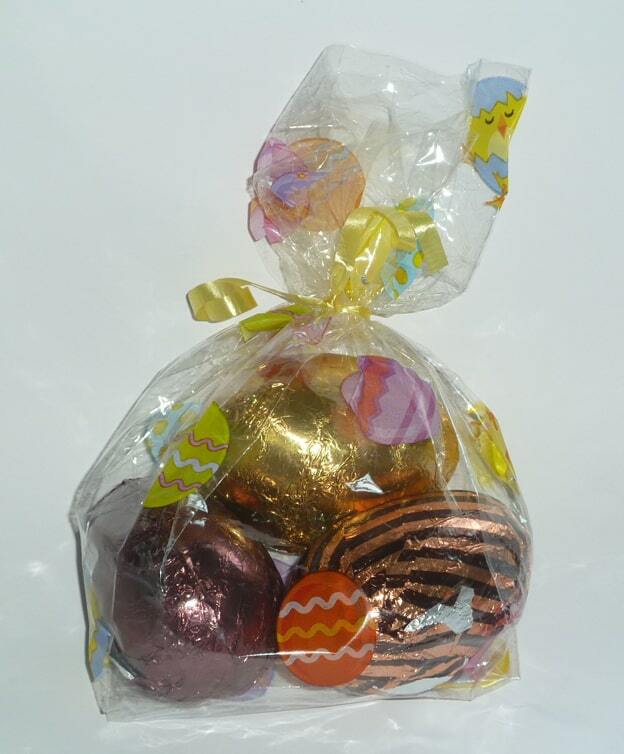 Next we looked at the Easter eggs. 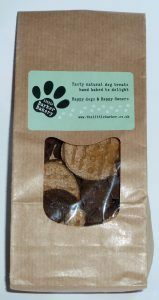 Made from carob, which is the safe alternative to chocolate for our canine friends, they looked very attractive. Oddly, Biscuit didn’t seem very impressed, and didn’t even finish the first egg, even after a few attempts. My friend’s dogs were happy to finish off the other two, though. 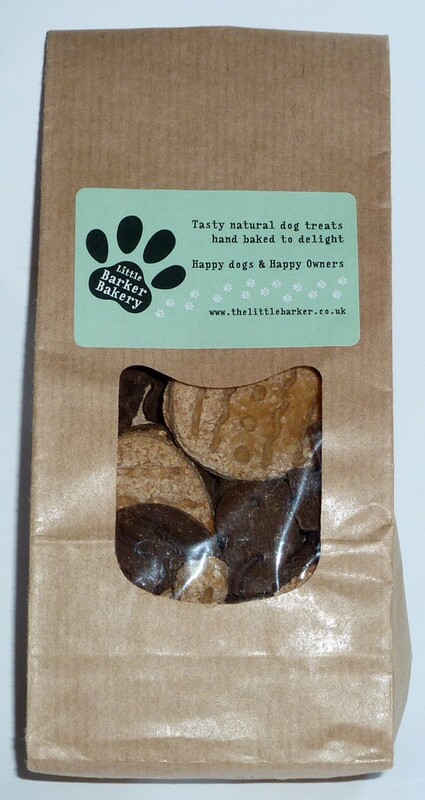 Biscuit did, however, love the carob and apple flavoured Easter biscuits. They proved *very* popular! 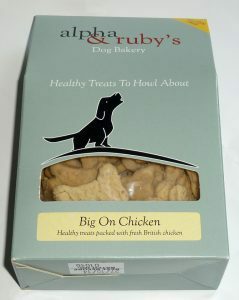 Also a big hit were the chicken flavour biscuits – made with 100% human-grade ingredients, and no gluten or wheat. Yum! I was quite intrigued by the ‘Hungry Hector Doggie Oggie Cornish Pasties’ – and so was Biscuit. I think these were his favourite treat in the box. Again, these were made with all-natural ingredients. 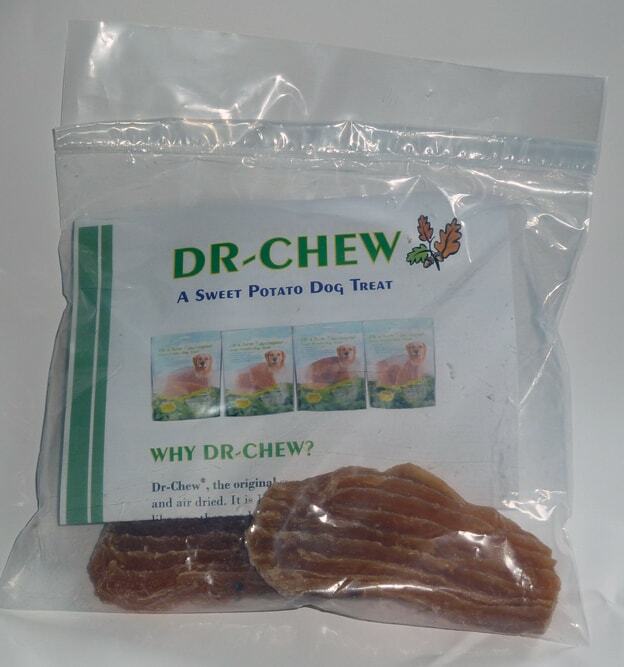 Unfortunately, he wasn’t so keen on the next item – air dried sweet potato chews. 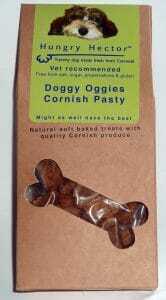 Full of vitamins and minerals, and a healthy way to treat your dog. Sadly, the one I gave Biscuit sat unchewed for days. Again, my friend’s dogs were happy to help finish them off. Woof-box doesn’t just cater for your dog: there was a present for me, too! The ‘Doggee’ waste bag dispenser is a really cute idea, and means that I’ll always be able to have bags on hand when we go out. It’s a simple design, but really clever, and makes a great addition to the box. 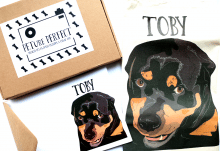 Overall, I was very impressed by the quality of this subscription box, and I’d be happy to continue with the service – especially as they’re happy to customise the boxes based on your feedback. 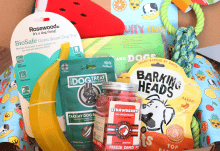 Woof-Box is a fun-filled subscription service for all dogs! 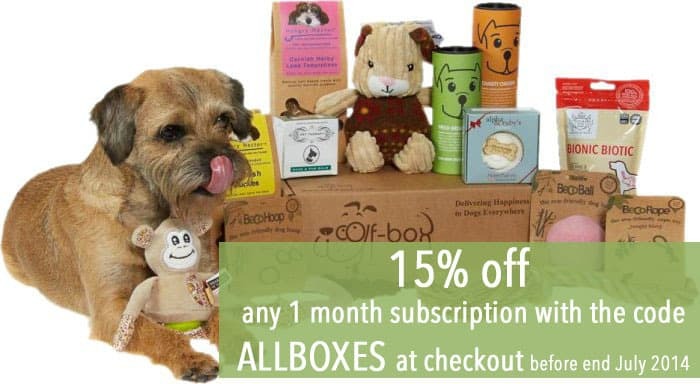 It is a monthly box packed with 5-7 high quality hand picked goodies including natural treats, chews and biscuits, top quality toys, health supplements, hygiene and grooming products as well as some cleverly designed innovative goods. It’s great value for money. 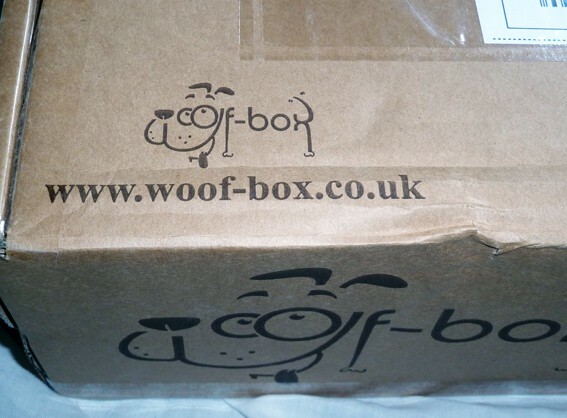 With Woof-Box not only can you choose to receive a carefully selected surprise box of top quality goodies. You have the alternative option to customise your box using our simple rating system. This system allows you to create a box of goodies containing more of the products your pooch prefers for the perfect treat. You can opt to receive more or fewer items or even no items at all from any category. This system means that you will always receive the best selection for your pooch. How would you rate Woof box ?